The last film with the Harry Potter franchise has finally arrived and, as pointed out by the press, so has many people’s childhood – or pretend childhood. Yesterday we went to see the last movie, Harry Potter and the Deathly Hallows Part 2“. Like anything else in art, film or literature, it’s up to the reader or viewer to draw their own conclusions about the ending. We will each view it through our own personal perspective. If you have not read the last book or seen the this film I’m not going to spoil it for you. I will say though, that for those viewers who have seriously studied mythology and/or symbology, you will find this last film steeped in it in all the classic ways. The wrestling of good and evil and/or the light and dark within ourselves, is a theme and belief system that permeates philosophy and religion. It doesn’t matter if you approach it from a Christian, Daoist (yin yang), Buddhist (suffering), Native American, Wiccan or any other perspective. It’s the same general theme. Same life issues. And in the end, no matter what you believe, life goes on. 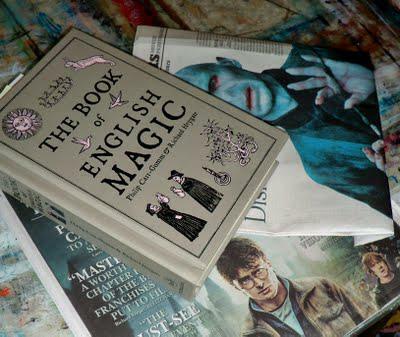 That said, for people who still think that Rowling pulled the ideas for Harry Potter out of some magical hat, or that it is simply generation’s version of Star Wars , I suggest you follow up by reading a book called “The Book of English Magic“ by Philip Carr-Gomm and Richard Heygate, Overlook Press 2010. I ran across it in a book store one day and it literally jumped out at me – mostly because it did not look like a normal, slick, American mass market publication. This book is very well written, utterly fascinating and educational. 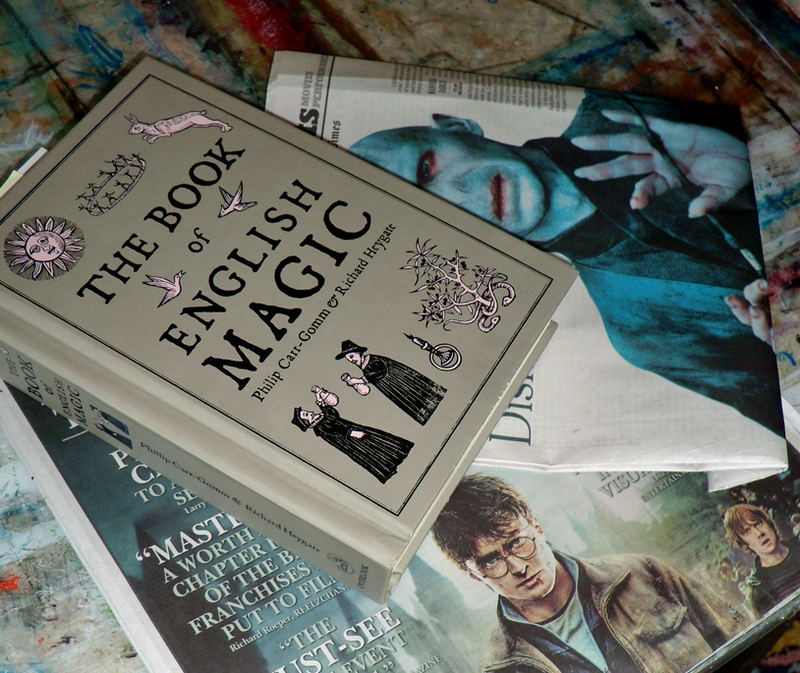 It presents an enjoyable history of magic in England in a very readable form. Below are the first two paragraphs from the book to give you a taste. Enjoy! “Every country has it’s magic: in it’s wild places, in its history, and in the traditions of its healers and mystics. The lands that border England have a special magic – Wales and Scotland are brimming with tales of wizards and seers – but this book focuses on the country that has grown, by design or quirk of fate, into the worlds richest storehouse of magical lore: England.